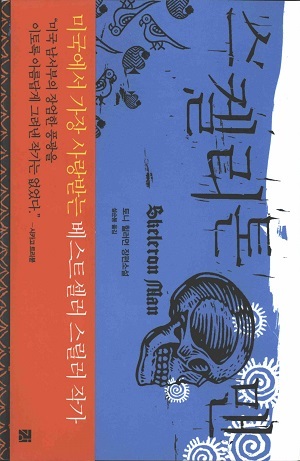 This is the first Korean edition of Skeleton Man. This 2009 edition was published by Kang Publishing in Seoul, South Korea. Tony Hillerman's text was translated from its original English to Korean by Seol Sung Bong. The cover art features a collage of stylized images on a blue background including: a skull, birds, suns, and leaves. Format: Paperback, 20 x 13 cm.